Under FAA Air Carrier Certificate # 1XSA599N, SAI Flight Services, Inc. is now operating their Learjet 35A from KGSP Greenville, SC across North and Central America and the Caribbean. 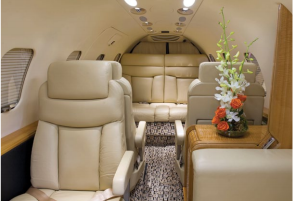 The Learjet 35A features leather seating, Airshow and DVD in-flight entertainment and a typical Lr-35 long light jet range of 1,800 NM. SAI Flight Services is available ONLY in FlightList PRO. This entry was posted in Operator Updates and tagged Charter Aircraft, Jet Charter Operator on April 24, 2015 by FlightList PRO.